I bought two goggles. Although this one is budget, it seems less comfortable than the other. And no accessories in box with it. I have gone up to Lake Tahoe 5 times this season, and this is what I have noticed. It's quite hard to see out of them when it is snowing. They effect my peripheral vision. The nose portion pops up so much that it is within my sight. They fog up when it is really cold and windy. It's hard to clean the inside of them, as in it never seems to get clean. The front is super easy to scratch. These goggles are ok for sunny days. I will be looking for a new pair of goggles. I will probably go with something from Oakley. 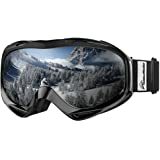 I have used these goggles over my glasses recently, and they worked perfectly. My glasses are a bit oversized too, and they fit nicely. I didn't mean to go boarding in my glasses, I just forgot my contacts (as I wear my glasses 98% of the time). I am glad that I bought these goggles, otherwise my glasses may not have fit in any other. Great googles, did not fog on me, looks cool. Before purchasing them, I thought that they would be really big on my face. They actually fit perfectly. It provides good cushion on the face, protects your eyes from the glare of the sun, provided good ventilation. 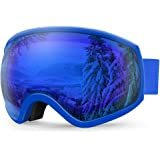 I would recommend this to anyone looking for a good set of googles. 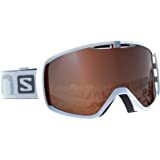 I did not use these googles on a very cold day, so I will update this review if I find different results. 3.0 颗星，最多 5 颗星Okay as a cheap backup, but not up snuff as a primary goggle. 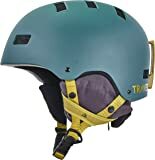 Claims "Ternary triple face foam conforms comfortably to your face and around nasal arch providing excellent airflow while reducing any breathing interference"
I don't find them very comfortable, and I can't breathe through my nose at all when they are on. They are small, I had to cut channels in the foam to wear my glasses under them, and my head size is smaller than average. If you have an average or larger head size then glasses will not fit under at all. 5.0 颗星，最多 5 颗星100% awesome! very comfortable and no fogging! 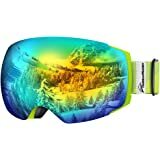 We own 3 pairs of these goggles, one with pink lenses and 2 phoenix lenses. They were used for 4 days skiing in Colorado with no issues whatsoever. My kids both used the phoenix lenses and reported absolutely no fogging. 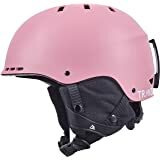 I used the pink ones, and although they function perfectly and are super cute, they are too light for sunny conditions. 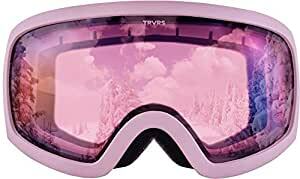 Although I still wore them, the pink ones would be best for very overcast days or night skiing. 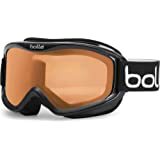 If you have ever skied with substandard goggles that ice up on the front and fog up on the inside you will truly appreciate these! EXCELLENT! 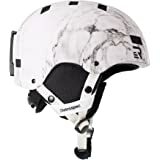 These were really great for a cheap pair of ski goggles. I dont go often enough to justify buying a very expensive pair but I still wanted to have a pair for the few times I go. 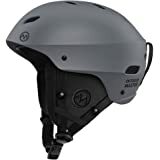 These are pretty sturdy feeling and adjustable for many head sizes. I had a little issue with them sliding to the side but that might have been hser error because I didnt want the band too tight on my head.